Dalvey House is situated a short level walk from local shops and is on a main bus route to Christchurch and Bournemouth. 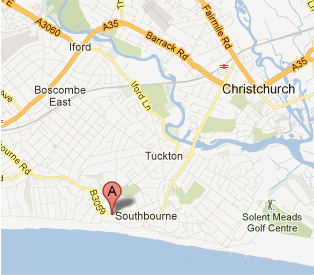 We are also just a few minutes level walk to the seafront. If you would like to contact us by email, please send an email to: enquiries@dalveyhouse.co.uk and we will respond as quickly as possible. Dalvey House Care Home is owned and operated by TAM Carehomes LIMITED. TAM Carehomes Limited is registered in England under Registration no: 07871482.